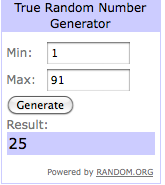 You are here: Home / Giveaways / We Have a Winner for the First Holiday Giveaway! Faith from “An Edible Mosaic”, comment #25. Congratulations Faith! 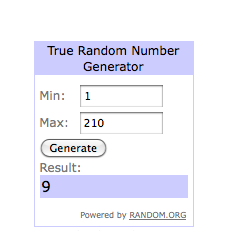 Congrats to the winner! What an amazing gift to help prepare for the holidays. On my way to enter the 2nd one. I still can’t believe I won!!! Thank you so much, Erica! Have a great weekend!